CJSF is proud to announce DOPE HAUS (hosted by Chanel Klein on CJSF every other Saturday at 9pm) has won two National Campus-Community Radio Association (NCRA) Community Radio Awards. DOPE HAUS won in the Out Loud and Breaking Barriers categories for the "Prancehall: The Queer Dancehall Experience" and "Narcan Overdose Prevention Training" episodes, respectively. DOPE HAUS also received an Honourable Mention in the Student Programming category for the "Narcan Overdose Prevention Training" episode. Hershy He and Kerry Foster also received an Honourable Mention in the Breaking Barriers category for their Making Time For Radio documentary, "The Crimes of Jiang Zemin." In other NCRA news, former CJSF Board of Directors member Tara Landsley-Sutherland has joined the NCRA Board of Directors. In a historic move, the NCRA's membership has elected an all-woman board this year, and CJSF is honoured to be a part of this milestone. We congratulate everyone mentioned here on their achievements! 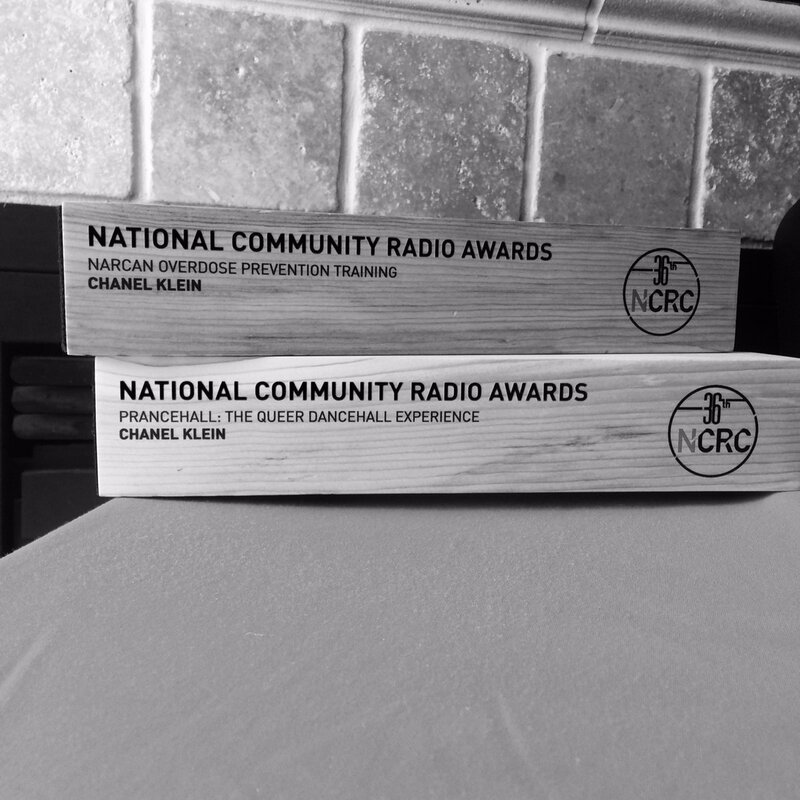 The National Campus-Community Radio Association (NCRA), incorporated 1986, is an organization dedicated to "advancing the role and increasing the effectiveness of campus and community radio in Canada," and represents over 97 campus-community stations nationwide. For more information on the NCRA, visit ncra.ca.